It is not that he cannot speak and express himself freely, but he cannot lie, nor much less hack private accounts or phones,” the president said in an interview with Ecuadorean Radio Broadcasters’ Association. 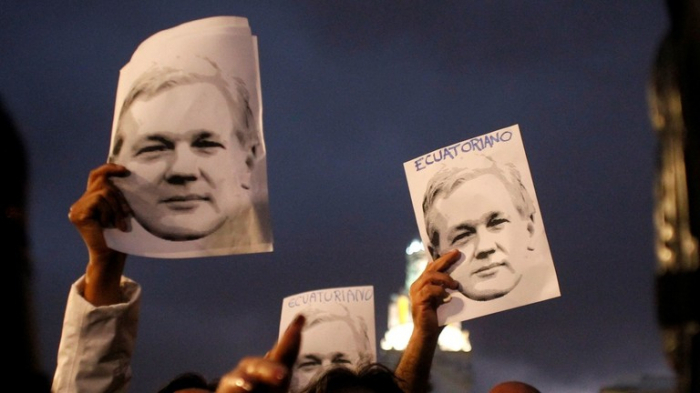 In discussion with Ecuadorean radio, the two analysts noted that “on more than one occasion” Assange had violated the nature of his status as an asylee by continuing to engage in political activity while under Ecuador’s watch, including publishing Moreno’s private documents. The Ecuadorean president has been ramping up pressure on the WikiLeaks editor since the end of last year, claiming to have procured London’s reassurance he would not be sent into the hands of the US justice system. The government now, however, says a decision must be made in the short term in order to resolve the ongoing standoff.